The car celebrates its 130th birthday – Many happy returns! A lot has happened since the days of Carl Benz, Gottlieb Daimler, and Nikolaus Otto. The horseless carriage has undergone rapid development, as has everyday life. And cars have become an inseparable part of our lives. Who manufactured the first car tires? Correct! In 1894 the Frenchman produced the first car tires, known at the time as clinchers or beaded edge tires. In 1948 Michelin developed radial tires, which lasted much longer than the standard cross-ply tires of the day. No. But everything began with him, because in 1844 Goodyear applied for a patent for vulcanized rubber. The process enabled him to produce a rubbery-elastic material that could be shaped into a tire. Unfortunately not, although the Scotsman did invent the first pneumatic bicycle tire, an enduring idea he patented in 1888. What invention can be attributed to Mary Anderson? Correct! American inventor Mary Anderson received a patent for the first working windshield wiper installation way back in the early twentieth century – November 1903 to be precise. Sorry, but no. The Swiss-born Friedrich Wilhelm Schindler invented a cigarette lighter in 1880 that was designed for use at home and in restaurants. It wasn’t until 1925 that a lighter was installed in an automobile. No. The inventor of this device is unknown. 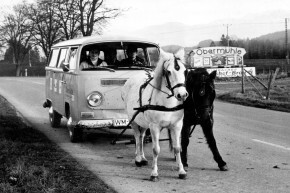 The automotive and accessory industry hit upon the idea in Germany due to the 1973 oil crisis. Rising gas prices led to an increase in criminal activity among many car drivers at the time. As cars became more popular, a new problem arose: parking. 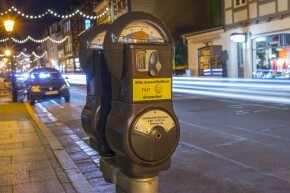 How long have parking meters been part of the German cityscape? No, but this date did mark the first time that motorists in Germany (or more precisely, Hamburg) were able to fill up their cars directly from a modern gas pump. The older generation will remember the car-free Sundays in the 1970s. But what was the reason for them? Correct. In 1973, countries in the Gulf Region threatened to stop delivering petroleum to all of Israel’s supporters. Restrictions were placed on private traffic to save fuel. Unfortunately not. The first environmental groups and organizations emerged in this period, but they had yet to receive a political mandate. Wrong. 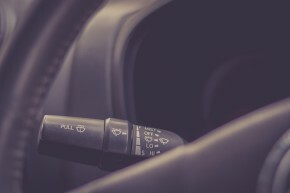 Although Sunday is considered a holiday in Christian countries and Sunday rest is regulated under constitutional law here in Germany, driving a car doesn’t violate the law. What was introduced in Germany in 1976? Correct. From 1 January 1976 onwards, anyone sitting in the front seats of a car is required to wear a seat belt. There were no penalties at first. When a fine was introduced for violating the law on 1 August 1984, the rate of seat belt use increased. Sorry, wrong answer. There is no universal, general speed limit in Germany. However, in 1974 a so-called recommended speed of 130 km/h was introduced on highways. No. This limit was specified for car tires in 1992 by the EC commission and equals 1.6 millimeters. But no driver should let their tires reach this level. The recommended tread depth for summer and winter tires is three and four millimeters, respectively. Approximately 82.2 million people live in Germany. How many passenger cars do you think there are on the German streets? Correct! Slightly more than 45 million passenger cars were registered as of early 2016. Wrong. This would mean that children, too, could register an automobile, or that everyone with a driver’s license also has a private fleet of vehicles. No. That’s how many cars there were on the German streets in the early 1980s. Ok, nothing to brag about yet. You have two options: invest in an encyclopedia on the history of the automobile or play again! You’re living proof that even someone with a monthly Metro card and a single-speed bike can know the right answer to a lot of questions. Keep it up! Congratulations! If you don’t have gasoline in your blood, then at least you have horsepower in your DNA. You’re not easy to fool where the history of the car is concerned. 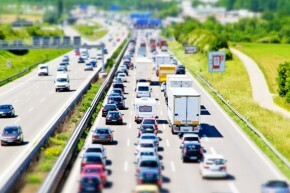 Keep driving – and always be on the lookout for other drivers! At thyssenkrupp Steel, ‘tomorrow’ stands for innovations. The car is celebrating its 130th birthday this year. 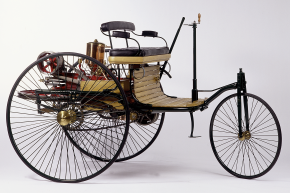 We say happy birthday and show how the horseless carriage has changed over the years.